READY TO LACE UP AGAIN IN 2018? 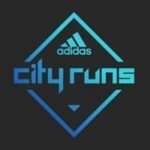 Were taking adidas City Runs to a whole new level in 2018. Four events. Four unique locations. Four opportunities to own the closed roads of the capital. First up is the flat and fast Fulham 10K taking place on March 18 and you can ENTER NOW. This brand new route offers you the chance to Beat Your Best in one of Londons most prestigious postcodes. Its going to be raining PBs!